Vishay Intertechnology has launched a new series of Inductors with an inductance value ranging from 0.33uH to 75.0uH. The inductors feature high efficiency with a typical DCR value from 1.05mΩ to 204.0mΩ and can handle a maximum current of upto 36A. 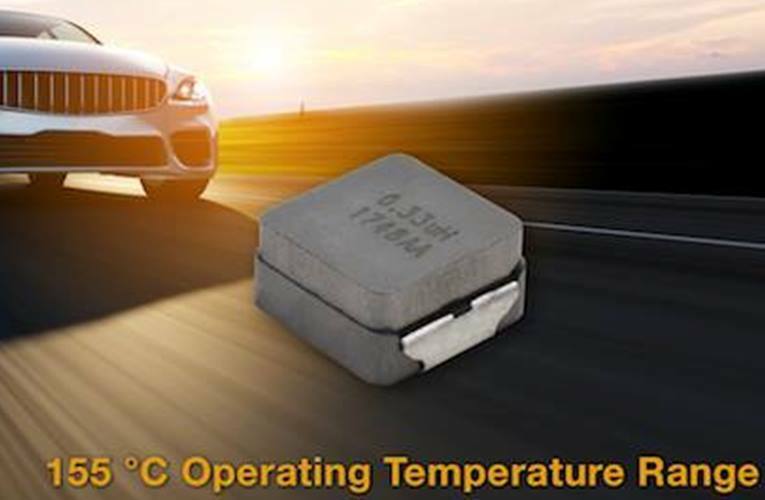 These are automotive grade inductors, suitable for under the hood applications and can withstand a maximum temperature of up to +155°C. These inductors are optimized to be used as an energy storage device which makes to efficient to be used in DC/DC converters up to 2MHz. Since the inductor can withstand high temperature, it can be used in control units, diesel Injection drivers and entertainment/navigation systems for DC/DC conversion. The Inductors also provide good noise attenuation in filtering applications that handles high currents hence it can be used in noise suppression of motors in the windshield wipers, Power mirrors, LED lights, ventilation blowers etc. The inductor comes in a 4040 case size with a profile of 5.4mm with shielded composite construction making the inductor immune to thermal shock, moisture and mechanical shock. Samples and production quantities of the new inductor are available now, with lead times of 10 weeks for large orders.